Granted I try to air dry clothing as frequently as I can, I still have to put things in the dryer constantly. This isn't always a big deal as most of the time I remember to take clothes out right away. However, if things are left in too long once the dry cycle is over, the clothes begin to wrinkle. The worst part about this is you cannot get the wrinkle out without re-washing or ironing your clothes. Being that Kevin wears dress clothes to work, I can't just run a fluff cycle when this happens. Regardless in most cases, Kevin has to iron his shirts at least once a week to look presentable for work. This can also become quite the task for him because of how many animals we have that shed in our home. He hates having to constantly lint roll his shirts because they pick up dog hair after laying them over a chair each one he irons. So when KLM Public Relations, Inc. asked me to review their HangerJack Scroll, I was really quite pumped! This awesome little gadget not only hooks conveniently over any door around your home it also looks like a beautiful accent to any decor. The best part is this is completely portable or easily removable. There is no mounting required plus there are thick pads to avoid scratching any doors. "Made with a tough polycarbonate Nylon filled, HangerJack can support up to 25 lbs." It can even support up to 7 hangers throughout the beautiful scroll design. We currently have this in our bathroom where we haven't had the opportunity to hang any hooks yet in the new house. 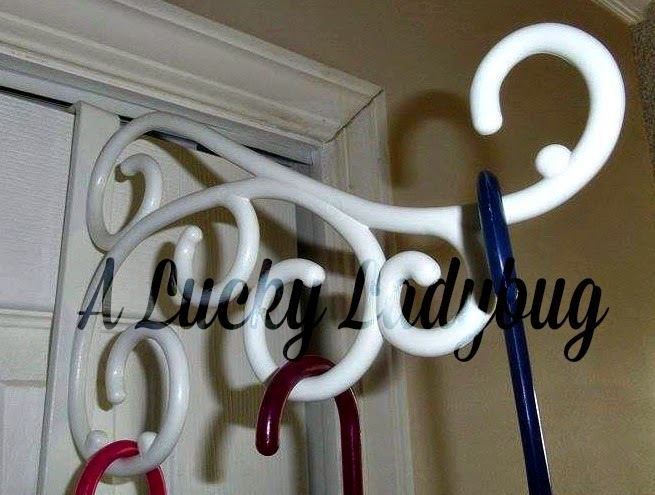 I think this works perfectly for hanging clothes after ironing but also for other purposes like pulling clothes out of the washer or dryer to air. I think this will be perfect for Alana once she goes off to the dorm rooms too! 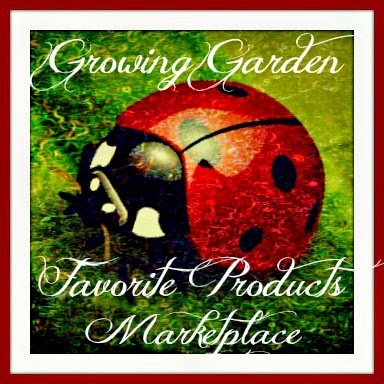 Recommendation: Such a simple tool and at a reasonable price which makes your life a bit easier! 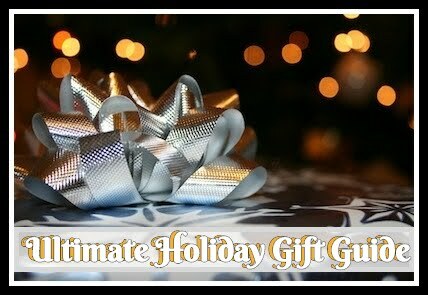 This can be used in most homes and as you just heard me mention so I think it is something that pretty much any one could utilize in their home or especially apartment! 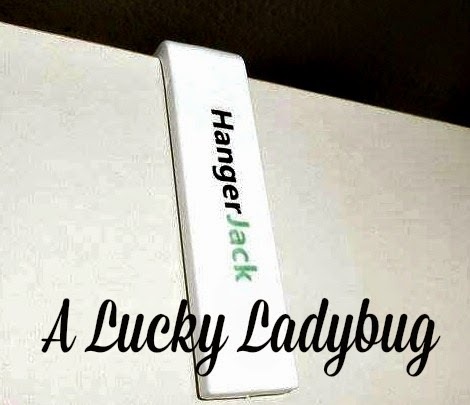 Giveaway: Hanger Jack is going to give one of A Lucky Ladybug's lucky readers a Hanger Jack Scroll to have of their own! 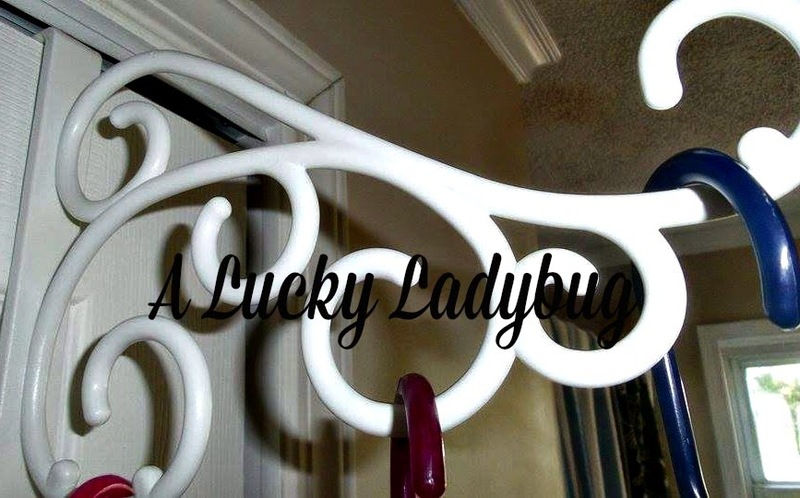 I would use this great hanger in the one guest bedroom upstairs for putting some of my bigger hanging plants on. I would give this to my friend, who needs a place to hang her clothes after ironing. this would be for me in my room. i would use it to hang my coat and belts. This will be perfect for jackets during the season changes when you have light jacket, heavy jackets, medium light jackets... you get the idea. I would use it to hang purses on. It's so hard to find something pretty to hang them on so I can see them all. I think I would put this on my daughter's bedroom door. I would use it in my laundry room to hang clothes fresh out of the dryer. I think I'd have it in my bedroom. I would put it in my home office and use it to decide on and layout outfits I've trying to decide how I want to put together. The unique design of this wonderful Hammerjack would allow to work on two ensembles at once, I know this sounds silly and complicated - but it's really very fun and creative: like making a collage or decorating a room, you can mix and match colors and design to assemble the outfit that make the statement you want to make ~ all the while letting your own personal style shine! Honestly, I'd love to have half a dozen of these to be creative with in different ways ~ AND in different rooms! Thanks. I will use it to hang additional clothes. I would put this on the wall beside my ironing board in the utility room to use for any clothing I needed to hang up. We have a coat closet for all of our fall jackets,hats, gloves,ect This would be perfecto help organize that closet better. Thanks for the contest! I never know when a winner is announced. I would like to see a winner's list. Who won the College for coffee giveaway in Sept? 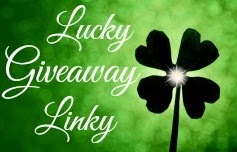 Winner announcements happen on the facebook page and I list it on all the giveaway forms once confirmed. i would use this for belts and bags. I will be using this in the bathroom to hang our bathroom robes up.